Morgan Palm is beginning her third year at the University of Portland as hall director for Mehling Hall. 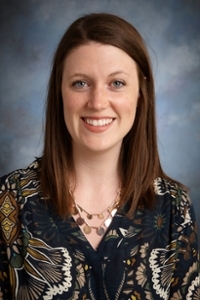 Prior to joining the University of Portland residence life team, she served as a residence life coordinator at the University of Idaho for three years, overseeing predominantly first-year student communities. Morgan received a Bachelor of Arts degree in political economy from the College of Idaho, and a Master of Public Administration from Boise State University. In her spare time, Morgan loves cooking, practicing yoga, learning Russian, and exploring Portland with her husband.